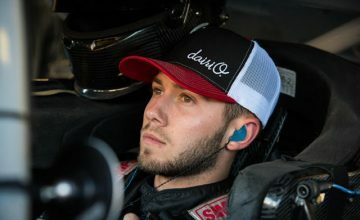 JOLIET, Ill. – One of the main storylines of the 2016 ARCA Racing Series season has been the dominance of Chase Briscoe. 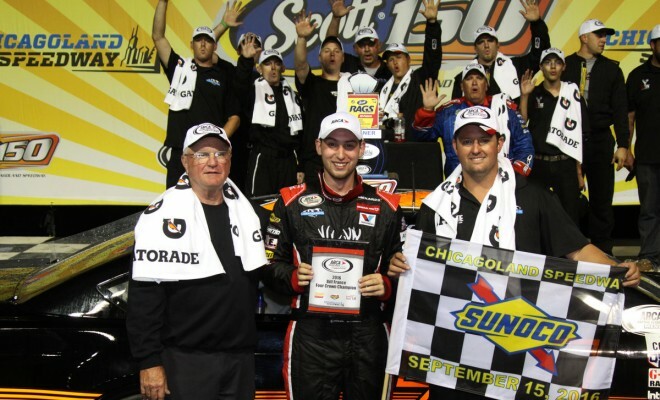 That trend continued on Thursday night as Briscoe put on another dominant performance at Chicagoland Speedway en route to his fifth victory of the 2016 season. Briscoe led 84 of the 100 laps and beat John Wes Townley to the checkered flag by seven seconds. The only mistake of the night came on the second round of pit stops when Briscoe overshot his pit box. “Just a rookie mistake and something that I’ve got to work on. 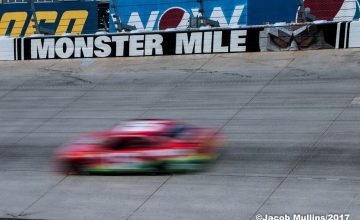 Once you move up you definitely can’t be having that kind of stuff especially when I came in with the gap we had down pit road - that was just a really stupid mistake,” Briscoe said. For a driver from Mitchell, Indiana who at this point last year didn’t have a ride for 2016, it’s been a banner year. Briscoe made a name for himself racing sprint cars in the Midwest on a limited budget and with a limited schedule. In 2015, he volunteered his time with Cunningham Motorsports, which led to a test at Nashville Speedway and two races at Lucas Oil Raceway and Salem Speedway. With finishes of tenth (Lucas Oil) and fifth (Salem), Cunningham Motorsports co-owners Briggs Cunningham and Kerry Scherer took a chance on Briscoe and their decision is paying dividends. 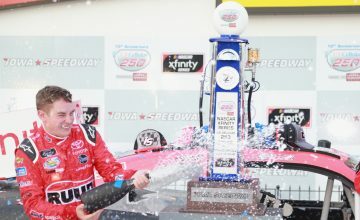 Last weekend at Salem Speedway, Briscoe earned the Short Track Challenge championship, a championship within the overall season championship, an accumulation of points from all of ARCA’s short tracks, deemed one mile in length or less. With his victory at Chicagoland, Briscoe won the Bill France 4 Crown Championship. The four-race championship shows just how diverse the tracks are on the schedule and is comprised of the New Jersey Motorsports Park road course, the Lucas Oil Raceway short track, the DuQuoin State Fairgrounds dirt mile and Chicagoland Speedway for 2016. The final award for Briscoe will be the ARCA Racing Series championship. With just two races to go, Briscoe has an almost insurmountable 565-point advantage over Tom Hessert. In a season of firsts for Briscoe, he experienced another when he pulled his Ford into Gatorade Victory Lane. Part of a new victory lane tradition at Chicagoland, the winner consumes a Chicago-style hot dog as part of the celebration. The 21-year-old Briscoe calls himself a “picky eater” and has never consumed a hot dog.